Every year I make nice warm wool socks for my son, but recently his feet have been growing so much that I can't keep up. I decided to make him tube socks, with no heel, so that they'll fit him for more than a short time. Knitting socks with no heels is fun! 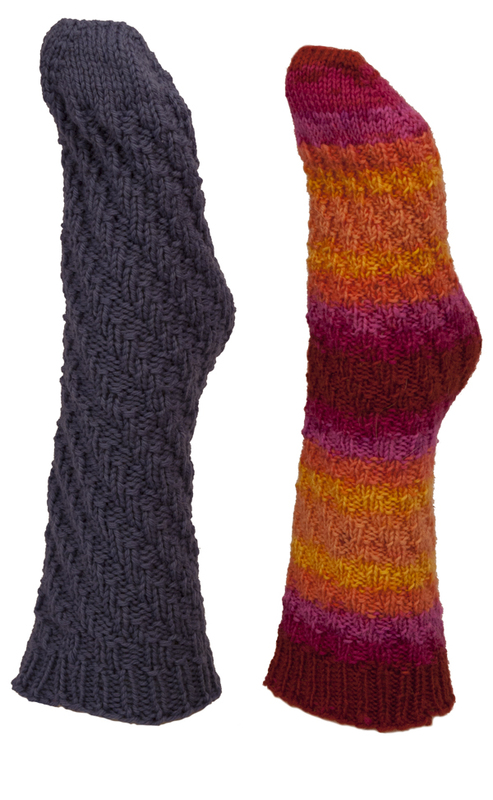 These socks feature an easy twisty rib pattern that helps the socks fit snugly and keeps you interested as you knit. 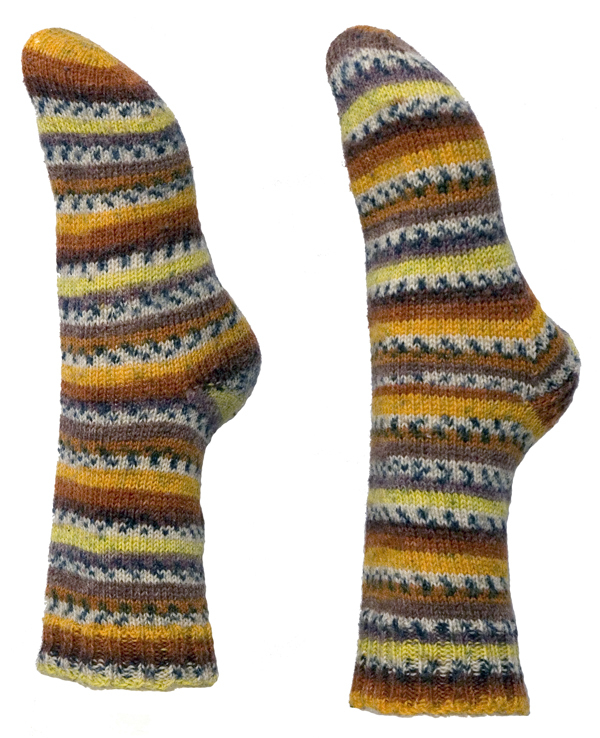 Gauge:	7 sts/1", 6 sts/1", 5 sts/1"
Looking for toe-up socks with a heel? 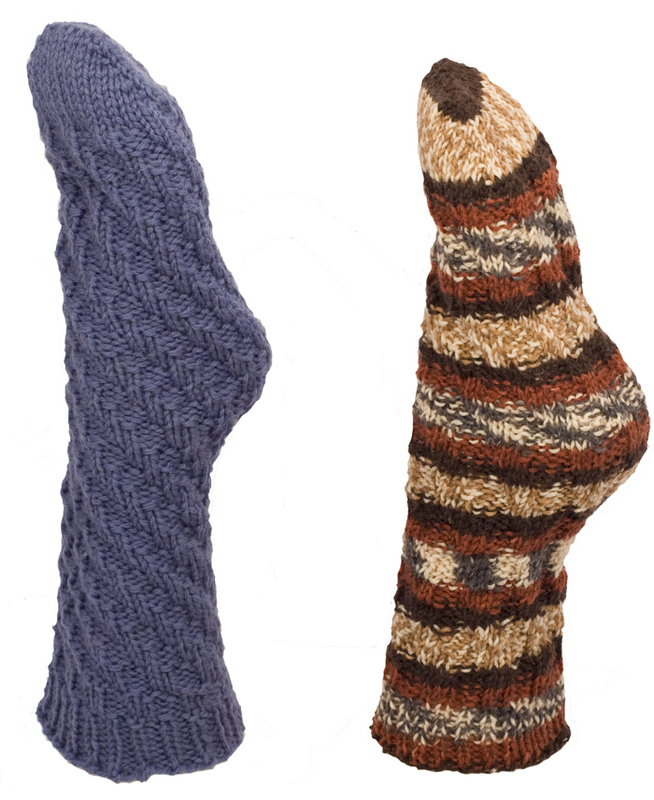 This easy-to-knit sock pattern introduces you to the technique of knitting socks from the toe up. Complete with illustrations, this pattern gives you everything you need to complete some snazzy toe-up socks!